My first confidante. My first kiss. My first love. My first everything: Callan was the glue that held me together when everything else was falling apart. He was my savior. He was there for me whenever I needed him...Until he wasn't.Every night, I've seen the love of my life in my sleep. I just never thought I'd have to face him again. Callie Hart has been one of my 'go-to' authors since I discovered her 'Blood & Roses' series. Matter of fact, you can find a couple reviews from her 'Dead Man's Ink' series HERE & HERE. I was waiting for the third book in the 'Dead Man's Ink' series to come out when I discovered this standalone. I knew that I would enjoy this book because I am a huge fan of the author but I was totally going in blind (as I prefer to do). The cover also worked in the book's favor because it is simply gorgeous! Once I dove in and started reading, I was hooked! 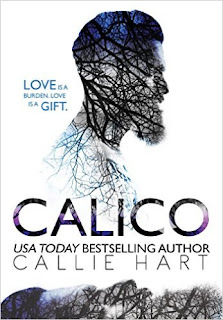 This book is definitely unlike anything I have ever read from Callie Hart. It's just as good as the other books except for one big thing: It's WAY better! I laughed. I cried. I even screamed with emotion from time to time. I even hounded my best friend until she read it. Waiting by the phone for her to call when she got to "that one part." I hadn't spoiled it for her. I didn't have to. And guess what-- She definitely called!